Blind Flange | A105 | Raised Face | 300# | NOM: 20"
Product Features: Blind Flanges are manufactured without a bore and used to blank off the ends of pipes, valves and pressure vessel openings. From a standpoint of internal pressure and bolt loading, blind flanges are of the most highly stressed flange types, especially in the larger sizes. 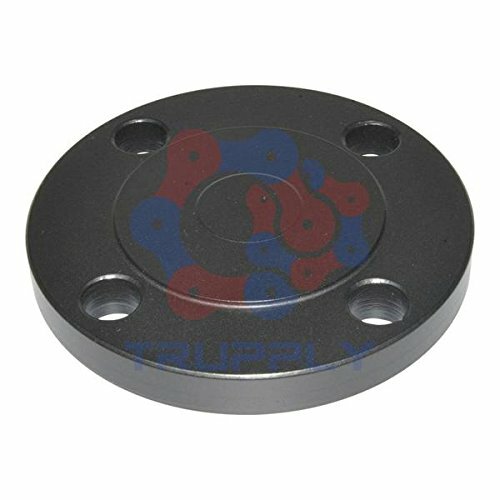 Because most of these stresses are of bending types near the center and there are no standard inside diameters, these flanges are suitable for higher pressure/temperature applications. Material: A105 - The standard forged carbon steel piping components for ambient and high temperature / pressure systems. View More In Flange Nuts. If you have any questions about this product by Trupply, contact us by completing and submitting the form below. If you are looking for a specif part number, please include it with your message. Blind Flange | A105 | Raised Face | 150# | NOM: 24"
Blind Flange | A105 | Flat Face | 150# | NOM: 24"
Weld Neck Flange | A105 | Raised Face | SCH: XH | 600# | NOM: 16"
Weld Neck Flange | A105 | Raised Face | SCH: XH | 150# | NOM: 24"
Weld Neck Flange | A105 | Raised Face | SCH: XH | 600# | NOM: 14"
Weld Neck Flange | A105 | Raised Face | SCH: XH | 300# | NOM: 18"
Weld Neck Flange | A105 | Raised Face | SCH: XH | 300# | NOM: 20"